TOKYO, Japan, January 30, 2012 (ENS) – The temperature fell to minus 8.7 degrees Celsius on Sunday morning near Japan’s crippled nuclear power plant, causing water pipes and valve seals to rupture, leaking tons of water. Workers at the Fukushima Daiichi nuclear plant discovered Sunday that the damaged pipes spilled nearly eight tons of water from 14 locations. Two additional water leaks were discovered today, according to plant operator Tokyo Electric Power Company. The leaked water included radioactively contaminated water that has been purified, TEPCO said, adding the contamination level is low. The leaks have not spilled out of the plant or flowed into the ocean, the company said. 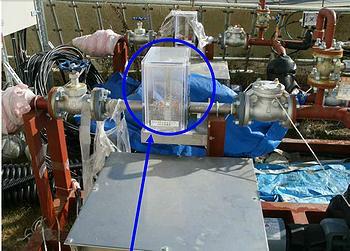 The largest leak, of 7,000 liters, appeared at a flange of the cooling water line of the water circulation pump in Unit 6, TEPCO said. The company said about 40 liters of water leaked from a cooling system for a spent fuel pool at the Unit 4 reactor on Sunday, but the flow stopped when workers closed a valve. The leak forced a shutdown of the Unit 4 spent fuel cooling system for nearly two hours, but TEPCO says the temperature of the pool did not rise. “At this moment, we don’t think there is any reactor coolant leakage inside the primary containment vessel,” TEPCO said in a statement. Today, TEPCO workers are replacing the ruptured water injection lines with polyethylene pipes and have slowed the amount of water being injected into the cooling systems of Units 1, 2 and 3. One of today’s two new findings involves a leak of about 30 liters of water from a device that is removing salt from contaminated water. The other is from a valve of a pipe that is injecting water into a reactor. TEPCO official Junichi Matsumoto acknowledged that the utility failed to take effective steps to prevent frozen pipes and said it will now take rapid action to protect the pipes from freezing. The six-reactor Fukushima Daiichi nuclear plant on the Pacific coast of Japan’s main island, Honshu, was damaged in a 9.0 magnitude earthquake and resulting tsunami on March 11, 2011. 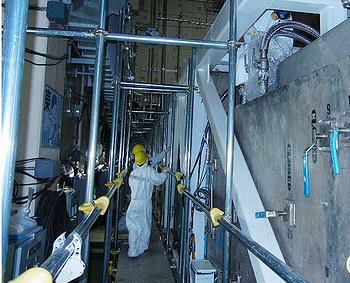 All cooling systems were disabled at the power plant, located 150 miles north of Tokyo. Three of the reactors were off-line and the three operating reactors automatically shut down. But in the following week, hydrogen gas built up in three of the reactors, causing explosions and meltdowns of nuclear fuel. The International Atomic Energy Agency rates the accident at the highest level, Level 7, a major release of radioactive material with widespread health and environmental effects, the world’s worst nuclear accident since Chernobyl in 1986. The accident led to elevated levels of radiation over large areas of Japan, and on April 11, 2012 the government evacuated everyone from a 20 kilometer zone around the plant and in May extended the danger zone to 30 km. Restrictions were placed on foods grown in these zones and on fish caught along the Honshu coast. The government has said it would draw up new evacuation zones by the end of April 2012, and areas where annual radiation levels are currently higher than 50 millisieverts will not be habitable for at least five years. In December, the government and TEPCO declared that the reactors at Fukushima Daiichi Nuclear Power Station had achieved a “cold shutdown condition” and are in a stable state, and that the release of radioactive materials is under control. Decommissioning is expected to take 40 years and require the use of robots and new technologies to remove the melted nuclear fuel, the Japanese government said in December. TEPCO plans to spend the next two years removing spent fuel rods from the storage pools located next to the damaged reactors. The government estimated in December’s “Road to Recovery” document that the costs associated with recovery from the accident approach 23 trillion yen (US$300 billion) over the next 10 years. In general, the government has decided to reduce its reliance on nuclear power and increase its reliance on reneweable sources of energy such as solar and wind. Meanwhile, the Japanese Ministry of the Environment has started a study to examine the effects of radiation from the Fukushima Daiichi power plant on nearby plant and wildlife, particularly their reproductive functions. 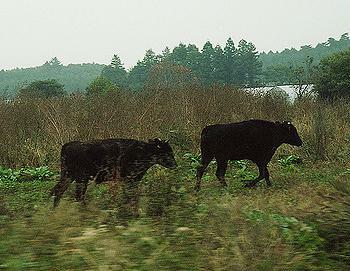 Working with the Japan Wildlife Research Center and the National Institute of Radiological Sciences, the ministry is selecting local species of plants and animals based on 12 recommended for study by the International Commission on Radiological Protection in the event of nuclear disaster, including a type of mouse, shellfish, and pine tree. Specimens will be collected from areas with differing radiation levels both inside and near the no-entry zone around the plant. They will be checked for radioactive cesium levels, and for abnormalities in their appearance, DNA, and reproduction and for abnormalities in their offspring.